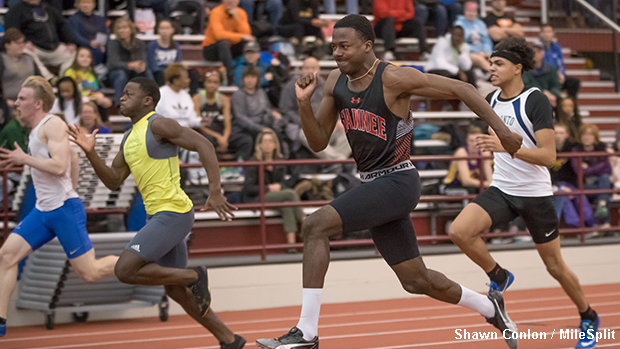 Youngstown State commit, Christian Ford went 7.13 in last year's 60m finals. The athletes who competed at the 2017 Tiffin University high school opener looked to be in mid-season form with solid times and marks being achieved in both the men's and women's contests. On Sunday, the 2018 indoor campaign will commence with the Tiffin #1 Meet. This gathering will provide competitors with whatever type of opportunity they're seeking, whether it be looking to shake off the rust and test themselves in live action or even to go after an early qualifying result for the OATCCC State Championship in March. Continue reading about the top performances at last year's meet by those who are eligible to return.